Mr. Dale Hill received bachelor’s degrees in education and chemistry from North Carolina State University, and he completed his EMT-Paramedic education at Johnston Community College. He has served in various field and administrative roles in EMS, focusing upon educational program and instructor development. He previously served in the North Carolina Office of Emergency Medical Services (OEMS) as Education and Credentialing Manager. In this role, Dale focused upon the development of educational curricula and credentialing examinations for all levels of EMS personnel, education and orientation programs for EMS instructors, and requirements for EMS educational institutions. He has served on multiple local, state and national committees, including the Continuing Education Coordinating Board for EMS (CECBEMS) Distributed Learning Committee and the National Registry of EMTs (NREMT) Examination Item-Writing Committee. He has served as Parliamentarian for the National Council of State EMS Training Coordinators and as a member of the federal EMS for Children stakeholder group. 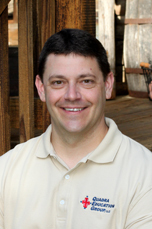 Dale is the current secretary for the NC Chapter of the American Trauma Society. 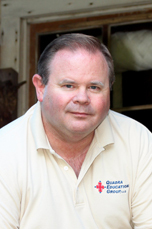 He holds multiple instructor certifications and has been teaching healthcare professionals for more than 18 years. Dale currently serves as the Manager of the Emergency Services Institute at WakeMed Health & Hospitals, which coordinates regional trauma care initiatives, clinical research, hospital emergency management and disaster response. Ms. Gail Kluttz received her Bachelor's of Science in Nursing from the University of North Carolina at Charlotte and her Master's of Science in Nursing from American Sentinel UniversitShe has over 20 years experience in a variety of bedside and administrative nursing roles at small, medium and large medical facilities. Gail is currently the Trauma Systems Nurse Coordinator for the Piedmont Regional Trauma System in Winston-Salem, NC. She also is the longest tenured North Carolina Trauma Regional Advisory Council coordinator. 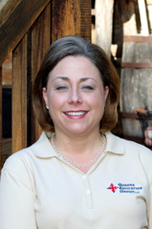 Gail also serves as the Executive Director for the North Carolina Chapter of the American Trauma Society. She has led this organization to new heights in trauma care throughout our state and region. Mr. Dennis Absher Taylor received his Associate in Nursing from the University of the State of New York; his Bachelor’s degree from Wake Forest University; his Master of Education (Adult Education) from Appalachian State University; his Master of Business Administration (Healthcare Administration) from the Babcock Graduate School of Management at Wake Forest University; and his Master of Science in Nursing (Acute Care Nurse Practitioner) degree from Seton Hall University. Dennis completed his Doctorate in Nursing Practice (DNP) program from the University of South Carolina in Columbia. Dennis has over 30 years of healthcare provider, education and administration experience. Dennis currently serves as an Acute Care Nurse Practitioner in the Department of Surgery – Trauma Services Division at Carolinas Medical Center in Charlotte, NC. He also continues to provide transport care via rotor wing, fixed wing and ground critical care transport with MedCenter Air (Carolinas Healthcare System). Dennis is the former Chief Flight Nurse and Assistant Program Director for MedCenter Air. Dennis is a member of the North Carolina Emergency Medical Services Advisory Council and is also an active member of the North Carolina Emergency Nurses Association, North Carolina Nurses Association (Nurse Practitioner Council), serves as a Subject Matter Expert (Trauma) for the Air and Surface Transport Nurses Association and is the Chair of the Fundamentals of Critical Care Support Committee / Carolinas Virginia Chapter – Society of Critical Care Medicine. Dennis has published over 35 research and educational articles in peer-reviewed journals and has authored numerous textbook chapters relating to airway management and transport nursing. Dennis lectures frequently at local, regional, state and national conferences. He holds Instructor credentials in Basic Cardiac Life Support, Advanced Cardiac Life Support, Pediatric Advanced Life Support, International Trauma Life Support, Trauma Nursing Core Course, Emergency Nursing for Pediatrics Course, Difficult Airway Course and Fundamentals of Critical Care Support.